Increasing demands for low noise levels either enforced by laws and regulations or by customer demands, constantly pressure OEM’s of emergency vehicles to reduce the external and internal noise of their vehicles. The main noise sources are the engine and its accessories, the transmission, the exhaust system, the hydraulic system, the cooling fan and the tires. In some cases the fan in the air conditioning system also has to be considered. The relative contribution from the different sources varies, depending on the type of truck and the driving conditions, as well as the load being transported. AAP also provides solution for thermal insulation challenges that exist to prevent engine heat from entering the driver’s compartment. 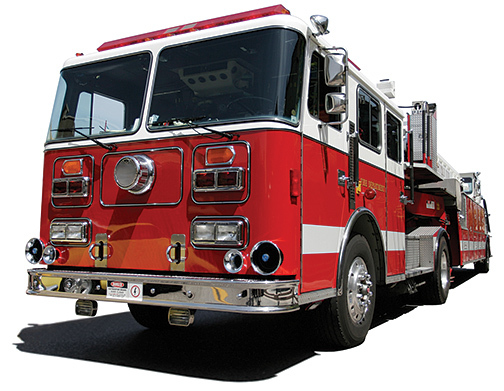 Contact us with your most challenging emergency vehicle applications and we will listen to your problem and provide you with a solution that is reliable and effective.